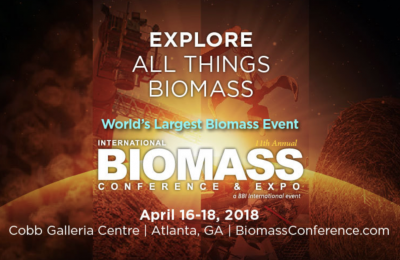 Biomass Magazine is a monthly trade publication tailored to serve companies and organizations engaged in producing or utilizing biomass power and heat, advanced biofuels, biogas, wood pellets and biobased chemicals. Biomass Magazine’s international readership includes owners and managers of biomass power, CHP, and district heating facilities; pellet manufacturing plant owners and managers; professionals working in captive feedstock industries – from food processing and waste management to agriculture and forest products manufacturing – and a growing number of industrial manufacturers, municipal decision makers, researchers, and technology providers engaged in biomass utilization in 40 countries. As part of the BBI International family of trade publications, Biomass Magazine is committed to editorial excellence and high-quality print production and distribution. Knowledge to keep you on your game!